Did you know in just 5 years the average engagement length has gone from 18 months to 15 months? While the average engagement time has decreased, brides are still allowing plenty of time to plan the big day! If you're starting to become overwhelmed with the thought of planning your big day, sit down, take a deep breath and look over this 12-month planning guide. You'll see that planning a wedding is simply a matter of getting organized. You can do it! Be sure to Request FREE wedding information and pricing from our local Boca Raton wedding vendors. Set a time and date for the wedding. Arrange for your families to meet if they haven't met before. Develop a budget and decide who will pay for what. Visit and reserve your reception venue. Order your wedding gown and determine who will make any necessary alterations. 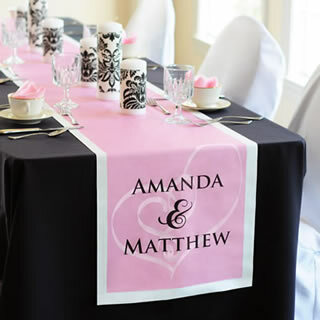 Decide on a color scheme (consider the reception site). 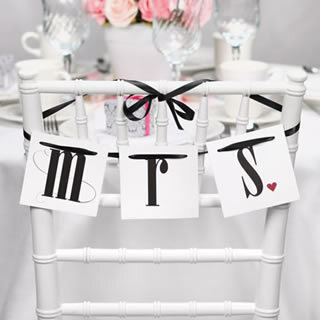 Meet with potential wedding professionals for your ceremony & reception. Interview local videographers, photographers, florists, DJs & Musicians, caterers, and bakeries. Be sure to get a contract that states wedding date, time, and location for each vendor, as well as the schedule for payments. Scout out accommodations for out-of-town guests. Decide on honeymoon plans and take care of any special travel requirements such as passports or visas. Decide on and order attendants gowns. Order invitations and other stationery needs. 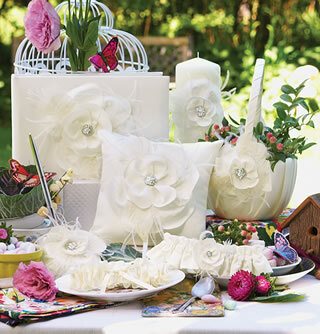 Register for wedding gifts at select stores and online outlets. 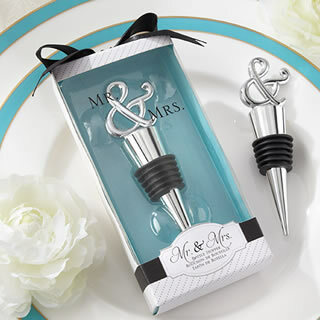 Don't forget to register for shower and engagement party gifts as well! Let your out-of-town guests know the date of your wedding so that they reserve the date and make any necessary travel plans. Shop for and taste test the wedding cake. Select and reserve attire for men in the wedding. Order wine, champagne, liquor, etc., if not included in the caterers service. Finalize flowers, including those needed for the reception decorations. Mail out information about hotels and city attractions to your out-of-town guests so they can make their plans. Order wedding rings to allow time for engraving. Begin working on vows, especially if you are writing your own. Do hair/make-up dry run, complete with your veil or headpiece. Book wedding day beauty appointments. Complete name change paperwork for bank accounts, insurance, etc. Finalize order of service and write the wedding program. Touch base with your florist, caterer, and DJ to confirm date and times, etc. Get their cell phone number if you don't already have them. Order wedding cake, if not ordered already. Order any rental items needed such as chairs, tents, lighting, if not included at wedding/reception sites. Schedule final fitting for wedding gown. Remember to bring wedding shoes, veil, and proper lingerie needed. Purchase your accessories: guest book and pen set, ring pillow, flower girl baskets, unity candle, etc. You might want to do this a little earlier if you are having items personalized. Arrange for transportation needs for wedding party and out-of-town guests for the rehearsal and wedding day. Be sure to give the driver the addresses and schedules for all who will need transportation. Get marriage license. Call ahead to make sure you know what is required to bring. Organize any accessories needed such as ring pillow, flower girl basket, garter, and "something old, new, borrowed, and blue." Contact guests who haven't sent in RSVPs so that you can give the caterer a final headcount. Pick up wedding rings and check engraving before leaving the store. Store in a safe place! Confirm honeymoon hotel, airline reservations, and wedding night reservations, if not leaving until the next day. Host attendants party and give out gifts along with a thoughtful thank you note to each bridesmaid. Make final payments to vendors. Put gratuities in envelopes and arrange to have a trusted friend distribute the envelopes on the big day. Take a long walk or schedule a massage to reduce stress. Gather your thoughts and mentally prepare yourself! Make some time for each other to exchange gifts and a congratulatory kiss (or several)! Get in bed at a reasonable hour so that you'll look and feel your best for your wedding. Awake early and eat a good breakfast. Arrive at wedding site early enough to dress and to visit with bridesmaids. Allow enough time for photography. Relax, smile, and enjoy your well-organized day! PS: Don't forget the romantic goodies for your wedding night and honeymoon! 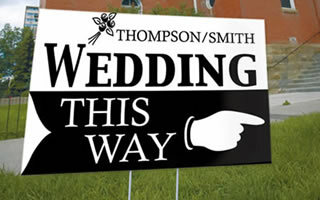 Check out our tasteful selection at WhereBridesGo.com!